Discussions Magazine Music Blog: RICK ROSS SIGNS TO EPIC RECORDS! RICK ROSS SIGNS TO EPIC RECORDS! (January 28, 2016 – New York, NY) - Multi-platinum selling, Grammy®-nominated hip-hop magnate Rick Ross has signed an exclusive new worldwide deal with Epic Records, it was announced today by LA Reid, Chairman and CEO, Epic Records, a division of Sony Music Entertainment. "Because of the hustle, perseverance and willingness to put in the work, I’ve been blessed to see multiple Grammy nominations, 8 chart-topping studio albums, multiple business ventures and run one of the most respected music conglomerates in the game” says Ross. “L.A. Reid understands the route that we took and has witnessed our success manifest itself from the beginning! You have to respect the moves that he and the entire EPIC team have made these past few years, not just in music, but in business entirely. I'm excited to be working with L.A. Reid and Epic Records. Looking forward to another successful decade and beyond in the music business and to continuing an #EPIC career!" With eight #1 and #2 Soundscan original studio albums, and four Grammy Award® nominations under his belt since 2006, Rick Ross was a core artist on the Def Jam roster. His drawing power was established virtually overnight when, in an earlier digital era, his 2006 label debut, “Hustlin’” became the first mastertone ever certified RIAA platinum before the associated album had been released. That album was his classic debut, Port Of Miami (in tribute to his hometown), the first of four Rick Ross albums to debut at #1. His long string of signature top-charted Rap and R&B hits went on to include “The Boss” featuring T-Pain (RIAA platinum); “Here I Am” featuring Nelly and Avery Storm (RIAA gold); “Aston Martin Music” featuring Drake and Chrisette Michele (RIAA gold); “You the Boss” featuring Nicki Minaj (RIAA gold); and “The Devil Is a Lie” featuring Jay-Z (RIAA gold). Twice featured as a Rolling Stone magazine cover artist, the “hip-hop heavyweight,” as the New York Times described him, was living up to his reputation as “the number one ghostwriter in the South,” his stock and trade since the millennium began. Subsequent albums Trilla (2008) and Deeper Than Rap (2009) also debuted at #1 Soundscan, as did God Forgives, I Don’t (2012), which included top hits “Touch'N You” featuring Usher, “So Sophisticated” featuring Meek Mill, and fan favorite “Diced Pineapples” featuring Drake and Wale. Most recently, Rick Ross aka Ricky Rozay set a high-water mark when he released three consecutive full-length studio albums in less than two years, Hood Billionaire and Mastermind in 2014, and Black Market in 2015. The latter attracted guest appearances by an elite A-list of friends, among them John Legend, Cee-Lo Green, Nas, DJ Premier, Mariah Carey, Mary J. Blige, Chris Brown, and Future. 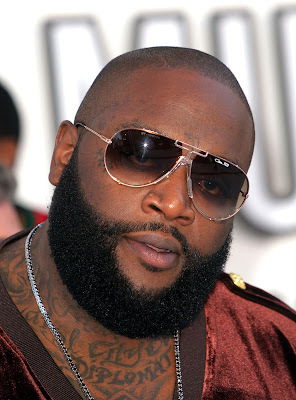 Rick Ross is also the founder of the successful Maybach Music Group (MMG), which has released some 20 albums since he founded the label in 2009.